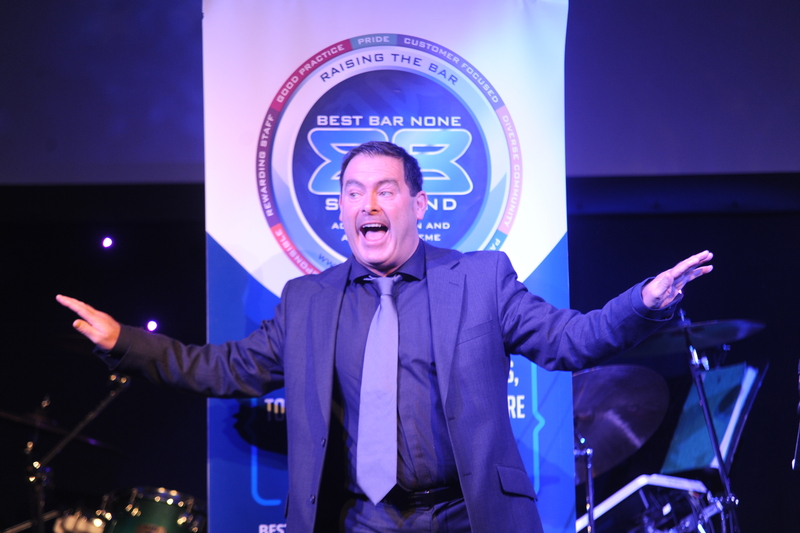 BOOK DES FOR YOUR EVENT: Des is very much in demand as a corporate presenter and regularly hosts a variety of events as well as performing stand-up comedy at them. Recent clients include Renfrewshire Council, Sky TV, Lloyds TSB, Tennents, North Lanarkshire Council, Scottish Water, The Royal Bank of Scotland and Celtic Football Club. Every event is different and Des works hard to ensure that his presentation is within the parameters of the occasion, working with organisers who always praise him for his hard work, enthusiasm and engagement of the audience. Client Testimonial: from Ruth Cooper, Economic Development Manager at Renfrewshire Council. ‘I am really grateful to Des for hosting in such an entertaining and energetic way (he was a perfect fit for our evening). He did a great job and I felt that he really endeared himself to the audience and I was particularly taken with his warmth and genuine interest and empathy with the young people. He really helped to make the event fabulous for all of us’. If you are interested in booking Des to perform at your next event please get in touch via the contact page.